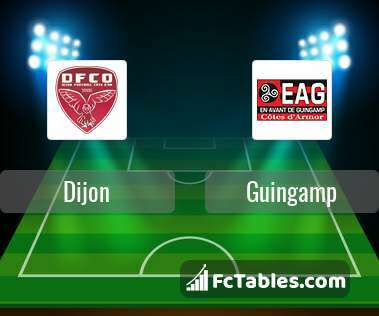 Kick off Dijon-Guingamp in Ligue 1 on today 15:00. Referee in the match will be Karim Abed. Team Dijon is located in the middle of the table. (13 place). Form team looks like this: In the last 5 matches (league + cup) gain 4 points. Dijon from 3 matches can not beat any rival. Players Dijon in Ligue 1 with the highest number of goals: Julio Tavares 11 goals, Wesley Said 9 goals, Chang-Hoon Kwon 9 goals. Players Julio Tavares 2 assists, Wesley Said 3 assists, Chang-Hoon Kwon 2 assists will have to be very well guarded by defenders Guingamp, because they have the most assists. Injuries in the team Dijon: Mehdi Abeid, Wesley Said, Florent Balmont, Xeka. Team Guingamp is located in the middle of the table. (11 place). Form team looks like this: In the last 5 matches (league + cup) gain 11 points. 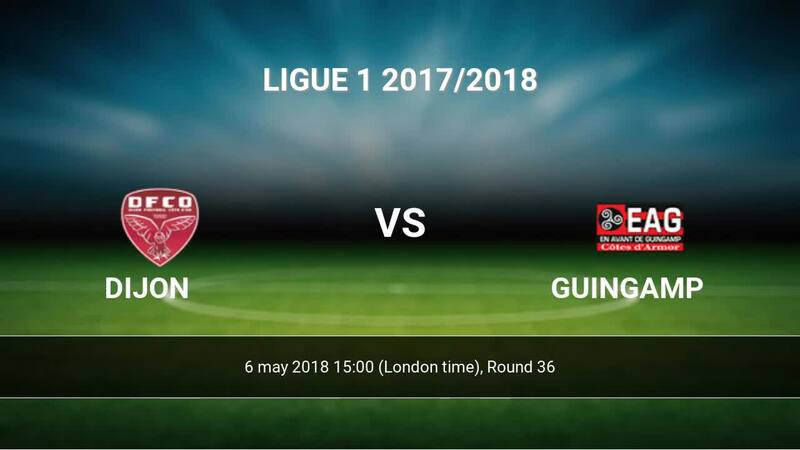 Guingamp did not win the match away from 5 games. From 5 matches no lost a match. Leading players Guingamp in Ligue 1 is: Jimmy Briand 10 goals, Mustapha Diallo 5 goals, Nicolas Benezet 3 goals. Players Jimmy Briand 2 assists, Nicolas Benezet 4 assists will have to be very well guarded by defenders Dijon, because they have the most assists. In Guingamp not occur in the match due to injury: Lucas Deaux, Abdoul Razzagui Camara. Direct matches: usually ended with winning of Guingamp. 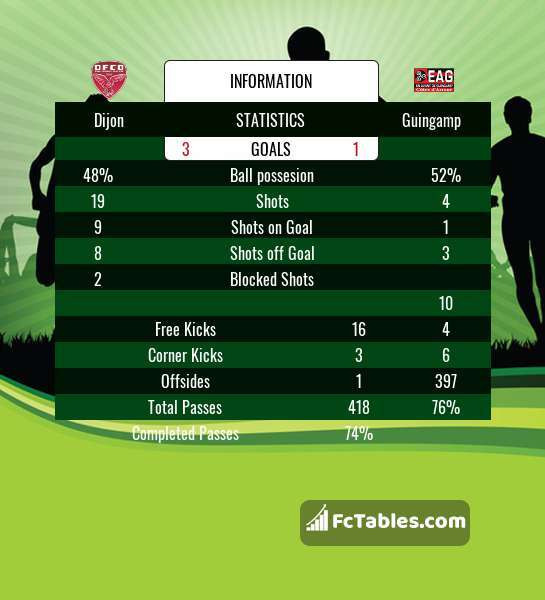 Balace of both teams games are: 5 won Dijon, 5 wins Guingamp, 7 draws. In 7 matches the sum of the goals both teams was greater than 2.5 (Over 2.5). On the other hand, 11 matches teams scored more than 1.5 goals (Over 1.5). In 8 matches the both teams have shot at least one goal.